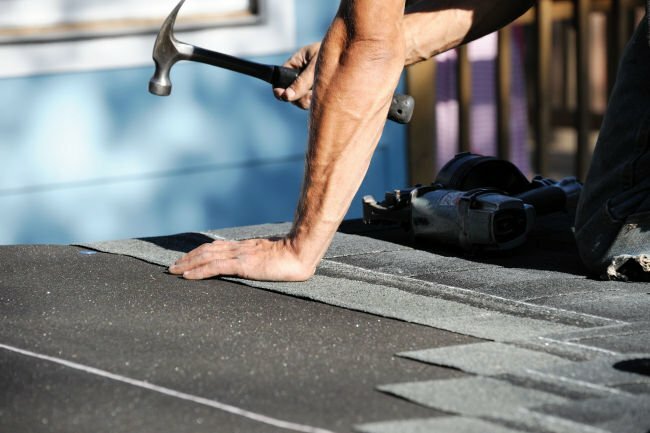 Keeping your roof in tip-top shape literally tops the list of critical home repairs. It protects everything in your house, so any signs of damage or wear and tear, call for immediate action to fix roof problems quickly. Procrastinating, waiting, and ignoring small problems only creates bigger problems later. 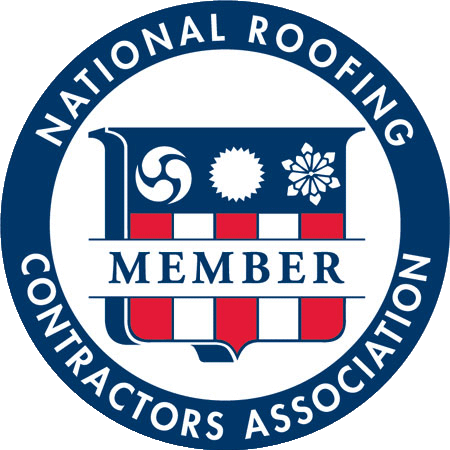 The national average roof repair cost is less than $1000, while a roof replacement can easily cost 5-10x that amount. Most roof repairs are similar in nature (missing shingles, leaking pipe flashings, chimney flashing, ice dams), and they due to the same types of problems (age, rain, hail, wind, ice). The big question comes with when is a repair too much to do on your own, and when to hire a pro instead of scaling the ladder to fix it yourself. Can I repair my roof by myself? When was the last time you were on your own roof? Unless you have the necessary experience and safety equipment to scale your roof on your own, simply getting to the problem can be a risky move. You can do more damage to your roof and possibly to yourself especially if you have a particularly steep roof, or one with special flashing concerns like a roof to wall, dead valleys, dormers, or pitch changes. If you’re uncomfortable walking on your roof, carrying heavy items up and down a ladder, or you don’t have the right equipment, it’s probably best to leave roof repairs to a professional. How can I save money on the repair? The best way to save money on roof repairs is to complete a thorough visual inspection of your roof several times a year, especially after storms. Using a pair of binoculars, inspect your roof completely and look for streaking stains, curled or buckled shingles, areas on the roof missing granules or rusted flashings. You can also inspect your roof from the attic by looking for water stains, moss or mold. If you see any of these issues, call a professional. Keeping track of your roof on a regular basis is the best way to ensure that small repairs stay small and don’t turn into big problems later. 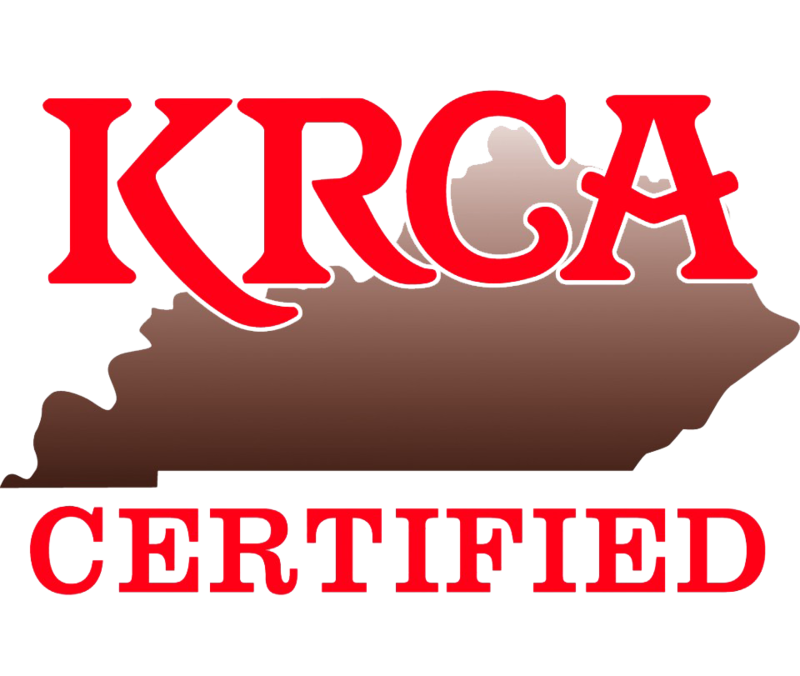 Here is our comprehensive list of the top 10 roofing repairs in Louisville, KY and surrounding area that can make it easier for you to find and diagnose problems early to save the cost of a complete roof replacement later. 1. Leaks: This one is the easiest to notice. If you have rain in your bedroom, you know immediately that’s not normal. Some leaks can happen during a storm while others may manifest themselves later. The trick is to fix them fast before it’s too late. 2. Critters: Notice tiny footprints that you can’t locate? If you think you might have birds, insects or tiny animals in your roof rafters, they can cause quite a bit of damage and it’s best to have them taken care of immediately. 3. Ponding: Any areas of your roof that tend to pond water can cause big problems. 4. Trees: Overhanging tree limbs are an accident waiting to happen. They should be trimmed away from the roof as much as possible. 5. Ventilation: Most ventilation issues originate in the attic. Air vents in the roof are designed to let warm air leave and cool air is drawn to the bottom. If heat or moisture build up in the attic, it can cause big issues to the rafters, sheathing, and shingles. This is generally first noticed by a spike in your energy bills. 6. Shrinkage: If your shingles are blistering, splitting, or ridging, the material beneath them might be shrinking, causing big problems in the roofing materials above it. 7. Bad installation: Unfortunately, this one is hard to notice until it’s too late. 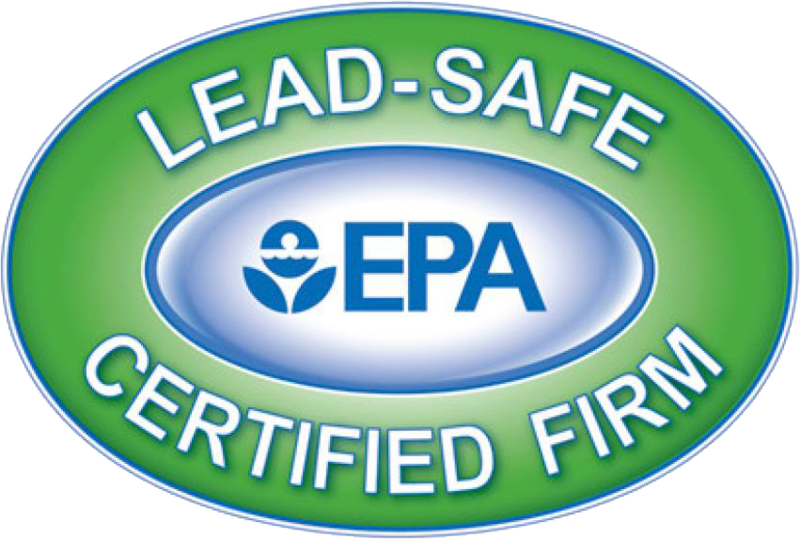 If you’re considering purchasing a home, have the roof inspected, and be sure the work was done by a reputable roofing contractor before moving forward. 8. Poor maintenance: Simple things like incorrectly cleaning out the gutters and blindly removing tree limbs can cause big problems when a storm hits. 9. Hail: You may not see any immediate hail damage, but even small hail can cause tiny holes over time that can eventually destroy your roof. 10. Improper repairs: Most homeowners end up doing more harm than good when they attempt to make a roof repair themselves. We often see caulking or plastic roof cement used in metal roofs that aren’t designed for those materials. This makes small problems much worse and more expensive than calling a professional the first time around. 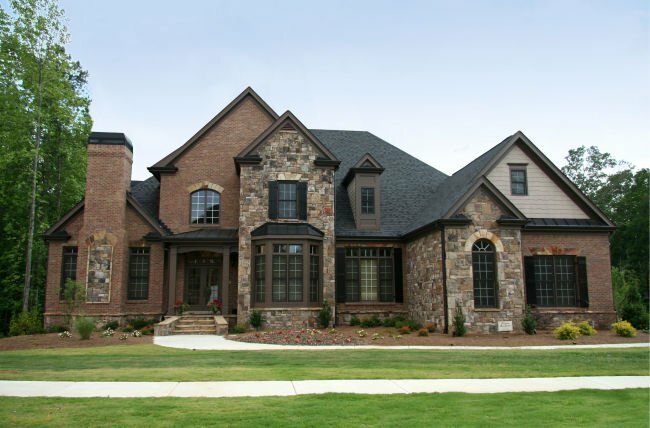 We understand you have choices when it comes to selecting a contractor for your roof repairs, that’s why Abrams Roofing works hard to earn your trust, your loyalty, and your confidence in our workmanship and product delivery. Look at past work: We provide consistent and trusted examples of our work with homeowners and businesses in the Louisville, KY area. We encourage you to peruse our other jobs to see the quality we offer and read our reviews and testimonials from past customers. One stop shop: We provide multiple services including gutter, siding, and roof repairs so that all of the work can be performed under one insurance claim to help keep your out of pocket expenses to a minimum. Check insurance requirements: Most insurance policies require that you work with a bonded, insured, and licensed professional for your roofing repairs. We work with insurance companies to ensure that you get the coverage you are entitled to, and you have peace of mind in the quality of our services. Go local: We are here for you, we don’t have a national hotline, an automated answering service, or a shady record of here today and gone tomorrow workers. We are a local business working and living in the same Louisville, KY area communities you do. We are here for you when you need us. If you’re noticing small issues with your roof, let us help. We provide free roof inspections and honest, reliable estimates to let you know what needs to be repaired, and what is critical to protecting your home and family. We work on building relationships that last a lifetime and providing products you can rely on. Give us a call today and we can get to work on your roof repair tomorrow!